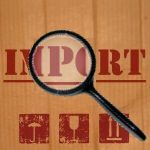 Parallel import is a prevalent business model in the new age economy. However, the laws governing parallel imports are still in infancy and require clarification in many jurisdictions, including Malaysia. In Tien Ying Hong Enterprises v Beenion (2010), the High Court of Malaysia provided the much needed clarification. The plaintiff in this case was the registered proprietor in Malaysia of the mark Seizaiken used on watch batteries. Notwithstanding the trademark registration, the defendant imported some batteries under the brand Seizaiken and offered them for sale in the Malaysian market. The defendant argued that there was no trade mark infringement in providing watch batteries under the Seizaiken mark in Malaysia as these were parallel imported goods from a company based in Hong Kong, which in turn had sourced the goods from a genuine manufacturer in Japan. The defendant submitted that its mode of importing and distributing the batteries bearing the trade mark Seizaiken fell into the legal description of parallel importation and hence, did not breach any trade mark law. While adjudicating on the issue, the Court carefully scrutinised the provision of parallel imports. The Malaysian Trademark Act defines parallel goods or grey market goods as those which are lawfully manufactured overseas but imported and distributed in Malaysia by a person other than the registered proprietor of the trade mark. The Court observed that though Malaysian laws do not expressly forbid parallel importation, it is clear on principle and authority that only the registered proprietor of a mark in Malaysia has the right to import, sell or otherwise advertise for sale, goods that bear the registered mark unless it can be proven that the source of the parallel goods that bear the registered mark has connection or association with the registered proprietor in Malaysia. The case is a significant ruling as it makes the legal description of “parallel import” clear vis-à-vis importation of genuine legitimately manufactured and not imitation or pirated products, which originate from a bona fide third party and which are sourced from another country. In light of this decision, defence of parallel imports to avoid infringement proceedings can be challenged by the registered rights owners to better protect their rights in Malaysia.